This worksheet is wonderful to use during guided reading. Students who are working in chapter books can refer to this page for upcoming due dates on what needs to be completed. 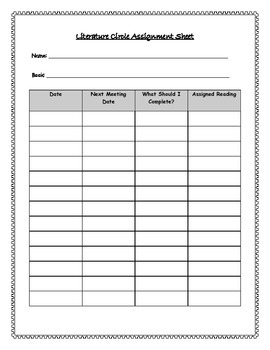 Teachers can fill out this page or teach students to fill out this page.